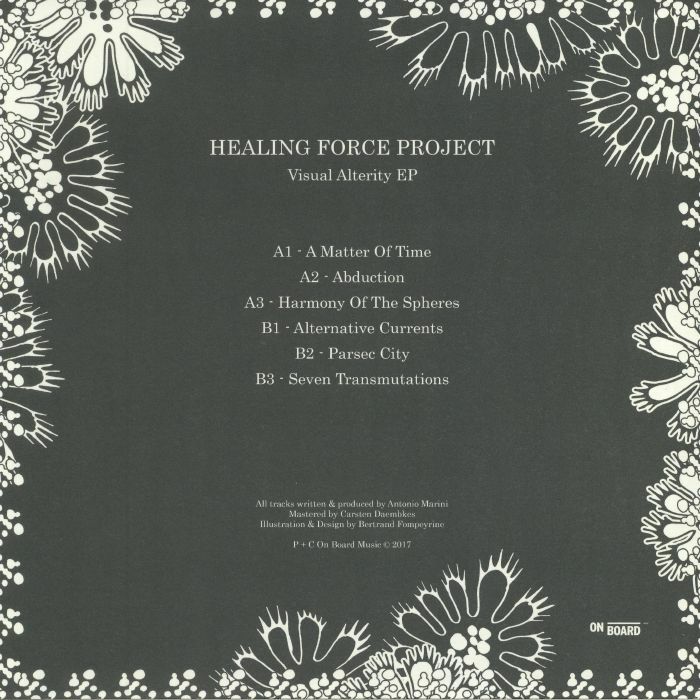 HEALING FORCE PROJECT Visual Alterity EP vinyl at Juno Records. Italy's Antonio Marini last came through on Wicked Bass in 2016, and this new EP for his own On Board Music marks the artist's first release of 2017. We'd been waiting impatiently. 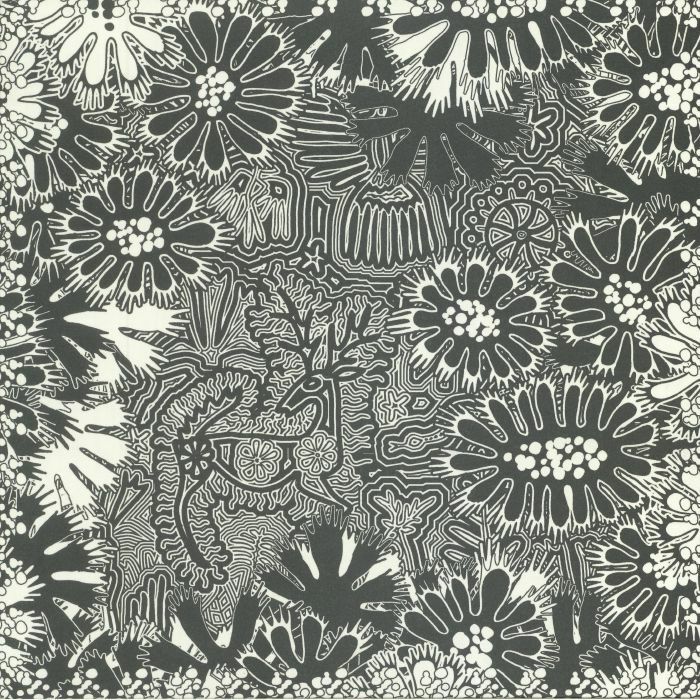 Like he often does, Marini appears alongside and strange and wonderful blend of mystical sonics that seem to possess to tangible source and, by that, we mean that the sounds seem to have been made by Mother Earth herself. For example, the subtly acidic harmonies of "Abduction" breathe life into the rest of the sparse beat formula that surrounds them, with the following "Harmony Of The Spheres" similarly crafting a wonderful bed of organic melodies which come together into one glorious bundle of sound. 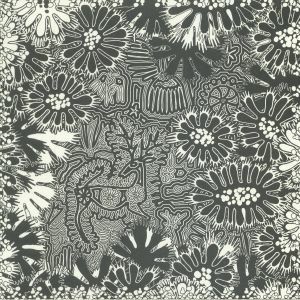 On the B-side, "Alternative Currents" forms a majestic wave of improvised percussion knots and blurry cosmic rays, while "Persec City" jazzes up the mood with some very 'free' movements, and "Seven Transmutations" ties the EP to a close with a distant, opaque cocktail of classic Healing Force vibes. Wonderful stuff, as always.